If you listen to iTunes Radio throughout the day on your iPhone, iPad, or iPod touch, sooner or later one of those songs you heard is going to get stuck in your head. When that happens, or when you’re just simply curious about the music you’ve been listening to and want to hear a particular song again, you just need to visit the iTunes Radio History. 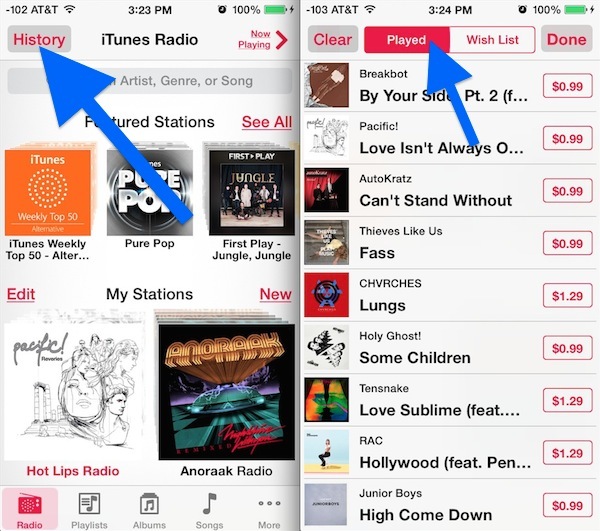 You’ll also find that you can clear the iTunes Radio listening history from the History section by tapping on the “Clear” button in the upper corner. Because many of the buttons are text and not completely obvious, it’s much easier to identify them if you have Show Button Shapes enabled in iOS Settings, which can be a helpful hint in general if you’re wishing tap targets were a bit more obvious on the iPhone and iPad. iTunes Radio is pretty great, if you want to learn some more good tricks for the service, don’t miss our other posts on the music service. 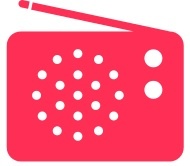 Even though it’s the World Wide Web, radio is a part of iOS that apple have still not implemented in the UK. iTunes Radio is apparently coming to the UK soon, according to rumors. Fred, we have had it in Australia since it launched, I have only just started using it & I must say so far I am impressed. Great for background music and when working out at the gym. Hope you guy’s in the UK get it soon mate.